1. Charging for Military Records. There may be some instances in which the veteran needs access to their military records, such as to claim certain benefits. Veterans and their family caregivers should be aware that there is a popular scam that involves charging for military records. This is usually accomplished through online services that charge as much as $150 for copies of some records. The government does not charge for most military records. Rather than using a service to obtain records, contact the Department of Veterans Affairs (VA) for assistance. Beware of telephone scams where the caller attempts to gather personal information by claiming they are from the VA. Typically, they say that they need to update information about the veteran. They may say that there is a problem with their computer system and need the person’s Social Security number to access their record. They may also ask for information about financial accounts. The VA never asks veterans to provide personal information via phone, email, or text messaging. Scammers may contact your aging relative offering them cash today as a buyout of their future benefits. Usually, the amount they offer is far less than the veteran would actually receive through the benefit. If your aging relative is thinking about relocating to be closer to family, be aware that there are rental scams that target veterans. Scammers place a classified ad offering discounts to veterans. The scammer asks that a deposit be sent via wire transfer to hold the property. There isn’t a property available and the veteran loses the money they sent. 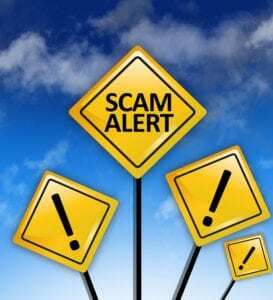 Scammers know that veterans are loyal to the military and other service members. They create fictional charity organizations that are supposed to assist military members and their families. Often these fake organizations have names that are similar to well-known charities. To see if a charity is real, visit give.org, a website created by the Better Business Bureau. Senior care can also help to keep your older family member safe from scams against veterans. Senior care providers can watch for mail, email, and phone calls that appears fraudulent. 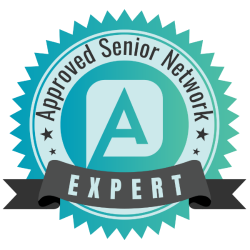 A senior care provider can also serve as someone for the older adult to talk to if they are uncertain whether something is legitimate. If you or an aging loved one are considering senior care in Des Plaines, IL, contact the caring staff at Companion Services of America today at (847) 943-3786. Our home care service area includes Northbrook, Highland Park, Deerfield, Glenview, Buffalo Grove, Evanston, Des Plaines, Skokie, Lake Forest, Wilmette and the surrounding areas.